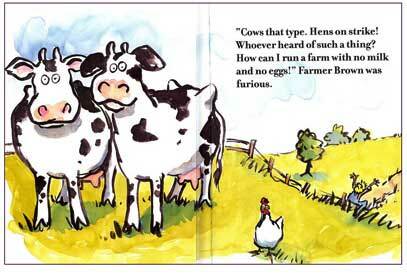 In Click, Clack, Moo, Cows That Type, barnyard animals unite to improve their conditions in this hilarious book. 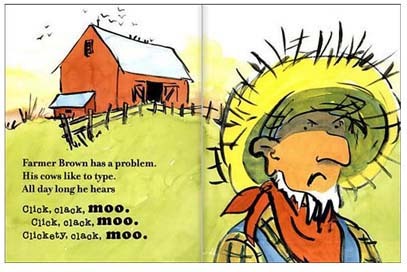 Farmer Brown is dumbfounded when his cows find a typewriter and begin airing their grievances and making demands (ie: "The barn is cold at night. We'd like some electric blankets). 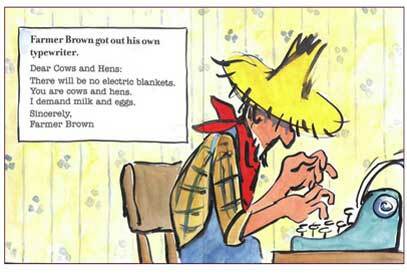 When their demands are not met, they go on strike, much to the dismay of poor Farmer Brown. 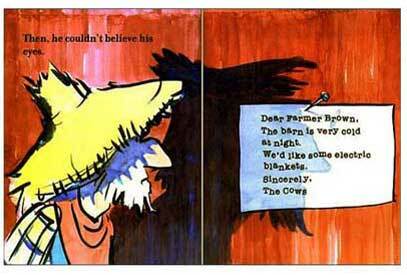 This book has such a goofy premise and fun line and watercolor illustrations, it's one of those rare, we-100%-guarantee-it storytime hits! In fact, it was so popular that Cronin and Lewin have written a slew of sequel books that are equally inventive and fun! This book won a slew of children's book awards! 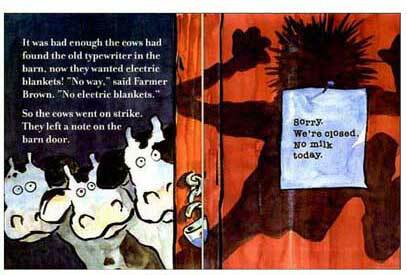 Most notably, it was the 2001 Caldecott Medal winner and was the International Reading Assoc. Children's Choice Award Winner! 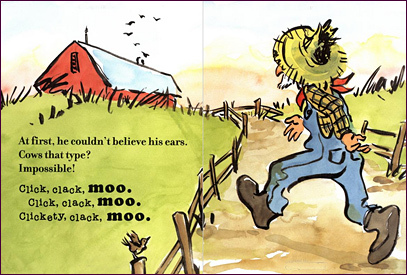 Below are sample spreads from the beginning of this book. 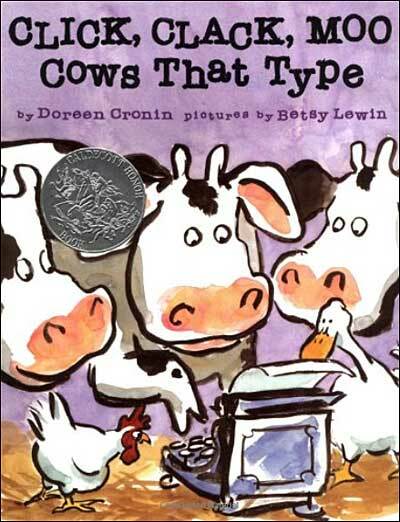 Betsy Lewin's illustrations are a perfect compliment to Doreen Cronin's hilarious text. 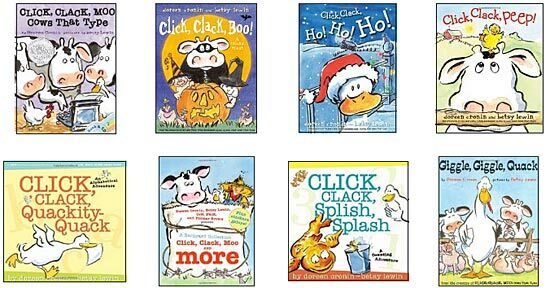 If you love this book, check out the whole series of Click, Clack books by Doreen Cronin.